By now I guess we’ve all recovered from the Excesses of the Festive Season, and have our 2014 faces on, with plans afoot for the coming year: not overlooking the fact that, in spite of the ABC Centenary celebration of October 2012, this year marks the hundredth since the production of complete motorcycles. Further on the theme of the Relative Immortality of our machines, which have already outlived their original keepers, and perhaps more…Many if not most of our machines exhibit modifications and non-original, non-standard features introduced by those previous keepers. We are too often left guessing at non-matching engine/gearbox/bevelbox serial numbers, or bogus frame numbers, even iffy registration numbers, at entry to the historical mazes that engulf so many machines. And then, there are the attempted improvements, on the one hand, and appalling bodges on the other, with honest-if-less-than-expert repair work inbetween. It hit me recently that for the most part, I suspect, we are just as casual as any earlier keepers in compounding these mazes, with our own mechanical treatments. I, for one, will maintain henceforth a sort of log book, identifying all such deviations at my hands, toward the relief of future head-scratchers/owners of my machine. 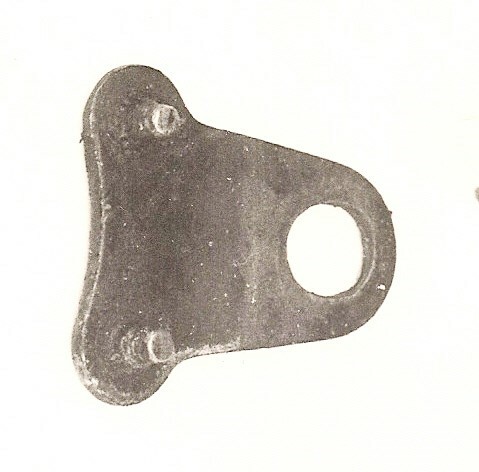 Giovanni Orlando is still searching for a set of handlebar levers for his Sopwith: Bowden, if possible. Giovanni hopes to have some self-made surplus engine and gearbox parts for disposal, as detailed in Newsletter 1003, in the near future. Steve Hall continues to amaze…he couldn’t locate a rear swinging fork for his Sopwith, so he simply fabricated one up! The biggest component still missing from his re-creation is a rear hub, complete. Can any-one help him, to save him from fabricating that up, too? This cracking photo popped up while I was looking for something else. 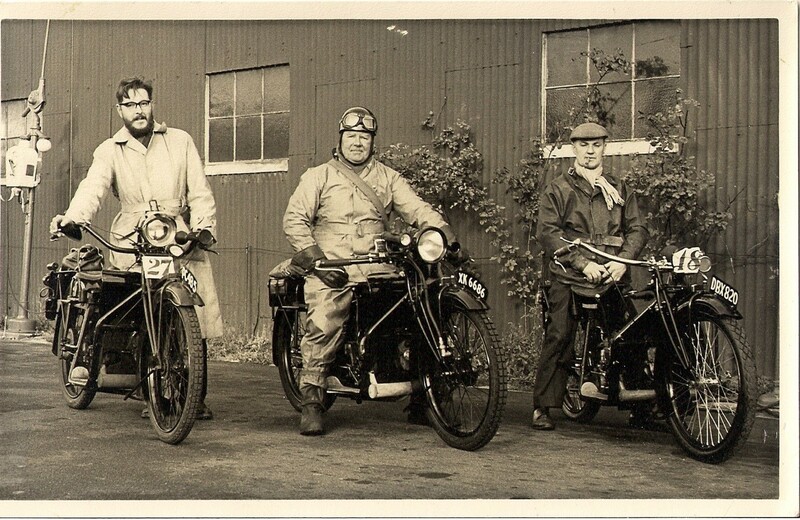 I have no idea of the time or place, or what they were up to, but anyway, it shows Les Hurrell (doyen of the Cotswold Section), Eric Thomson (sometime VMCC National Secretary) and Dave James (South-West Wales Section). Les’ machine, PC 485 (now SV 5218) and Eric’s, XK 6686, appear in the ABC Register: unfortunately, Dave’s, DBX 820, seems to have dropped off the radar, if it was ever on. Richard Johnson definitely needs a Technical Tip, concerning removal and re-fitment of the dynamo. He had to detach the rear wheel and swinging fork to accomplish this: surely there’s a better way? Only two submissions to the Spot the Difference puzzle set in the last Newsletter were received, so I shan’t bother to publish a solution. Circulation of this Newsletter is 21. The updated Membership List now stands at 13, and is included to those of you who appear on it.